Invest Openly: What Is Your Inclination In Making This Investment Decision? What Is Your Inclination In Making This Investment Decision? What stock(s) to pick for review/analysis? How much cash to hold as war chest? How to diversify your portfolio to minimize the risks? When to do NOTHING? (yes, doing nothing is also a decision) etc..
Today, just like to throw out an hypothetical question and hope to see some response/reaction from the readers in such situation. Of course, there is no right or wrong answer, just inclination and perspective. The scenario is like this : If you are currently holding 2 equal size stocks, one is making 50% paper profit (let's call it Stock A) and the other is making 50% paper lose (let's call it Stock B) , for some valid reason, you need to sell one of the stock (in full), which stock will you sell? Stock A or Stock B? 1. Both stocks have equal chance of making further profits (or losses) in the near future. In short, Stock A might turn into loses and Stock B might turn into profit in the future. 2. You cannot hold the stock and must sell ONE (and only ONE) of the stock in FULL. 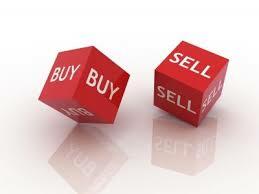 This is a JFF (Just For Fun) question, if it intrigues you, do join in the fun by sharing with us your inclination (to sell Stock A or B?) and why (your thought/rationale) in the comment section. But if rule 2 doesn't apply, sell 33.3% of A and buy 100% of B to rebalance (as per original asset allocation ratio). Thanks for your comment! Is there any particular rationale for Selling B, instead of A? If yes, please help to share your thought. If u plan to hold them, sell A and use the profit to add on B on weakeness. U will need to learn technical analysis when doing so.